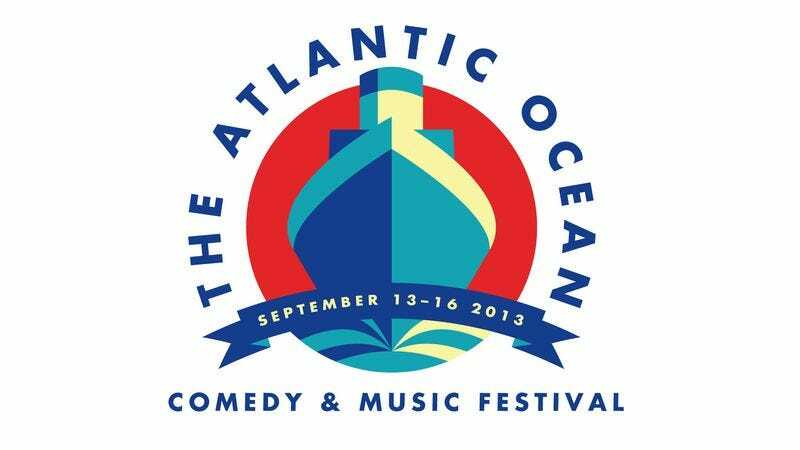 As right now nothing sounds more relaxing than a nice cruise, comedy podcast network Maximum Fun has chosen this week to announce its own Atlantic Ocean Music & Comedy Festival taking place September 13-16, the sort of voyage that certainly has no stigma currently attached to it. Or, even if there were some sort of recent catastrophe that had people thinking twice about voluntarily setting out to sea, Maximum Fun is pushing forward with it anyway, in keeping with the relentless positivity that defines them. And, God forbid, should some sort of crisis occur that somehow resulted in all the passengers being trapped aboard a floating prison, at least here there would probably be some good jokes about it. That’s because, in the event you did become helplessly shackled to a drifting filth-barge, you’d be there with comedians such as Marc Maron, John Hodgman, Eugene Mirman, Maria Bamford, Al Madrigal, Kristen Schaal, Kurt Braunohler, and Nick Thune, who’d all suddenly have lots of new material to work with. You could also pass the time in between praying for dry land by listening to music from The Mountain Goats’ John Darnielle, Nellie McKay, Dan Deacon, and The Long Winters’ John Roderick. And hey, should everything not go horribly awry, you’ll just get to enjoy all of these people’s regular performances, maybe while playing some shuffleboard on a court where no one’s been forced to camp out. Suggesting good vibes are already circling Maximum Fun, a mere two days after it declared a rivalry with the Mark McGrath & Friends Cruise, the latter sank prematurely, in what can only be read as an auspicious victory that bodes well for September. Of course, it's also possible this is merely setting up Maximum Fun for a potential surprise attack from the Matchbox Twenty Cruise—a looming naval battle that could well be the Monitor and Merrimack of our time. But again, let’s think positively here.